$325. Dress up in full length Velcro suit, get a running start and launch yourself from a trampoline onto a Velcro covered wall. The object is to see who sticks to the wall at the highest point. Your friends will rip you off the wall and you're ready to go again. It's great fun for young and old alike. 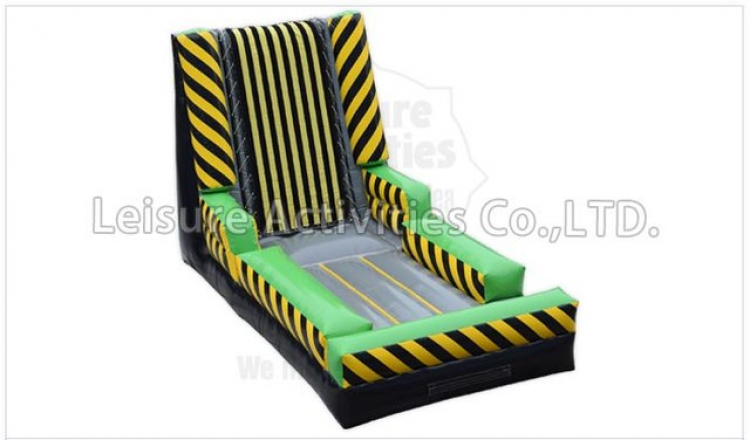 Velcro suits included as well as (1) 110V blower. Minimum height 43" and maximum weight 250 lbs. 21' x 11' x 13'. Can be picked up by customer. Please see customer pick up policy.